With the New South Auckland Bus Network in place since October last year it was always going to be interesting to see how patronage would be affected. According to an Auckland Transport Board paper the New Network is going well with patronage up 28% for the busses and 22% for the Southern Line (rail) in the month of February. Great start to the New South Auckland Bus Network but improvements are needed. The main gripe is that the busses get stuck in general traffic and subsequently delayed. This stems from a lack of bus lanes for the main busses like the 33 Great South Road route as well as feeders like the 324 that often falls 30 minutes behind its run. Time for Auckland Transport to hustle along with those bus lanes starting with the 33, 32 and 31 bus routes followed by the feeders after that. Also as expected Manukau is becoming the primary transport hub in South Auckland with increased patronage affecting both busses and the trains. 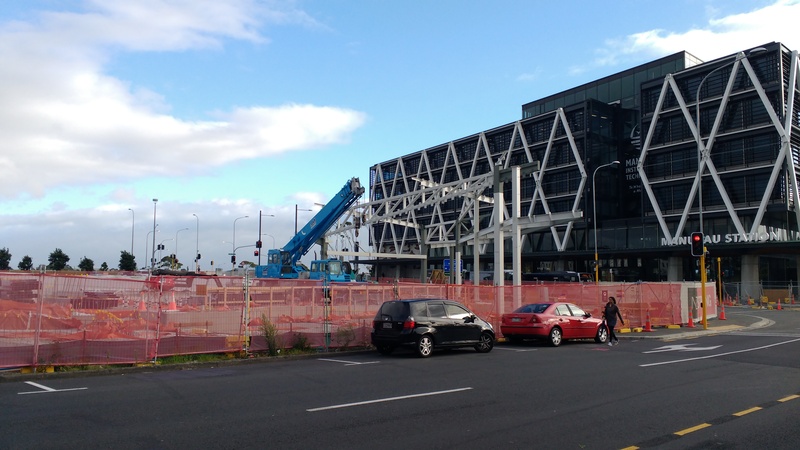 Manukau as of 2015 was the sixth busiest station so I wonder what it is now? Any case great to see the New Network is going well but we can make it better with some bus lanes in the right places. Yes – the bus services are improved – but in the weekend they are not as reliable – any idea as to why this might be? And yes bus lanes are a MUST HAVE! Otherwise why would patrons want to use them? Auckland Transport still a bit behind on weekend services. The Regional Public Transport Plan 2015 is meant to have at least the Great South road services at 15 minute frequencies all day. However, as noted the problem is lack of bus lanes and AT being slow at that. That said they are meant to be in May starting consultation on bus lanes on the Great South Road from Walters Road Takanini to the Takanini Motorway Interchange.